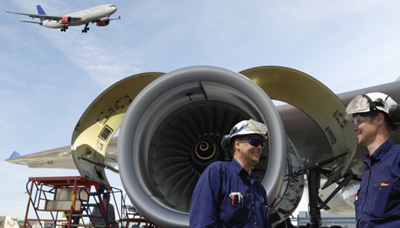 The objective of the Qualifying Employment in Aviation (Personal Tax) Rules (SL 123.168) is to give a long-term vision to the sector in order to adequately equip the necessary operations with the skills required and control the limitations encountered due to a limited availability of human resources. The rules came into force with effect on the 24th May 2016 and apply to income which is brought to charge in year of assessment 2017 (basis year 2016). The rules apply to individuals not domiciled in Malta. The Rules have been introduced to attract to Malta foreign nationals (both EEA/Swiss nationals and third-country nationals), who hold an eligible office within the aviation industry. Successful applicants will have the option, in terms of Article 56(21) of the Income Tax Act to be taxed in Malta at an advantageous rate of tax of 15%, provided the following conditions are satisfied. The tax incentives are available to EEA and Swiss Nationals for a maximum period of five (5) consecutive years, while the tax incentives are available for third-country nationals for a maximum period of four (4) consecutive years. The Schedule to the Legal Notice contains a list of eligible employment and offices. By means of Legal Notice 177 of 2016, the Authority for Transport in Malta has been designated as the authority responsible for determining the eligibility or otherwise of an individual wishing to apply for the Qualifying Employment in Aviation (Personal Tax) Rules (the "Rules"). Individual income from a qualifying contract of employment qualifies under these rules when it is received by a beneficiary in an eligible office. Such income is subject to tax at a flat rate of 15% provided that the income amounts to at least 45,000 euros (forty-five thousand euros) annually. The 15% tax rate applies for a consecutive period of five years for European Economic Area (that is, EU countries as well as Norway, Iceland and Liechtenstein) and Swiss nationals and for a consecutive period of four years for third country nationals. The four or five year period, as the case may be, commences from the year when the individual concerned first becomes taxable in Malta. In cases where the individual was taxable in Malta but not benefiting under this Scheme and subsequently becomes eligible under the Scheme, he/she can benefit only if the four or five year period has not elapsed; the benefit is then available for the years remaining from the date of eligibility under the Scheme until the said four or five year period from the date of first being subject to tax in Malta elapse. He/she is not domiciled in Malta. Income shall not be construed to be income from a qualifying contract of employment if it is paid by the employer who has received a benefit or benefits under business incentive laws or arrangement in terms of the business incentive laws or is paid by a person who is related to the employer who has received a benefit or benefits under any business incentive laws or arrangement in terms of business incentive laws. For further information, please contact our office 0035621337144 or at info@johnhubermalta.com to schedule an appointment to discuss your specific requirements.